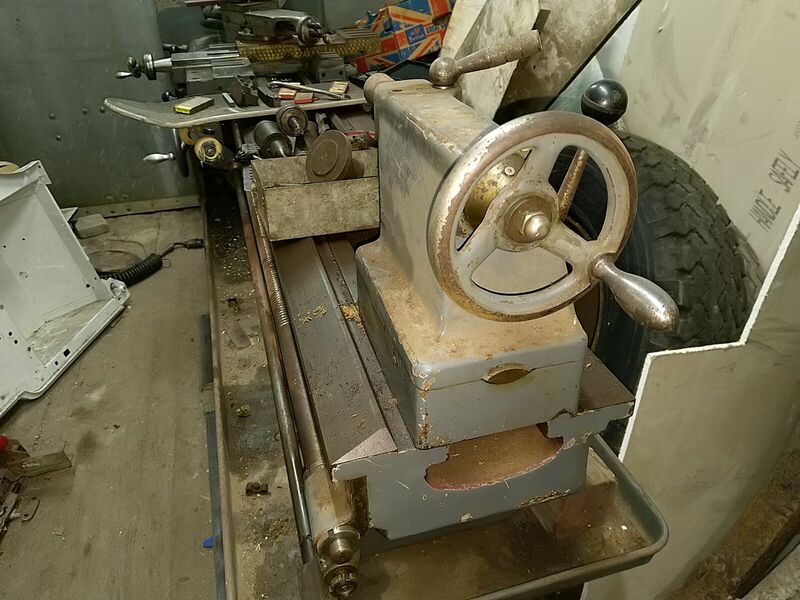 Is this a good place to post looking for advice on trying to become adequately skilled in my old lathe? Including getting the large up to scratch? I reckon so! 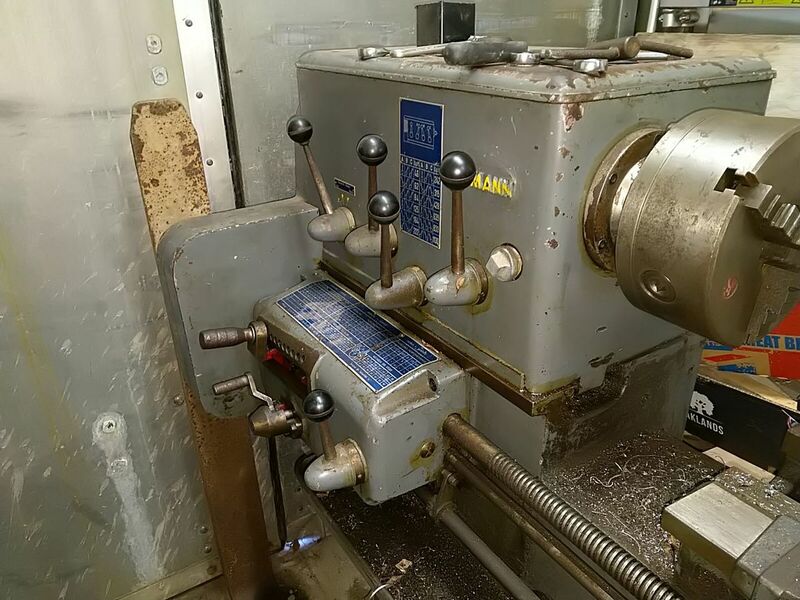 There are quite a few prolific machinists on here and I spent about 6 years doing mostly machining at work. My old boss used to make a great habit of buying the realllllllllly realllllly cheap tips, like a box's worth for the price of a decent single tip, then wonder why they were forever being used up . Best place on this forum for sure. Thanks chaps, this will be slow. I think the first job is to get the motor running at all speeds. At present it trips the electrics on all but the lowest speed. 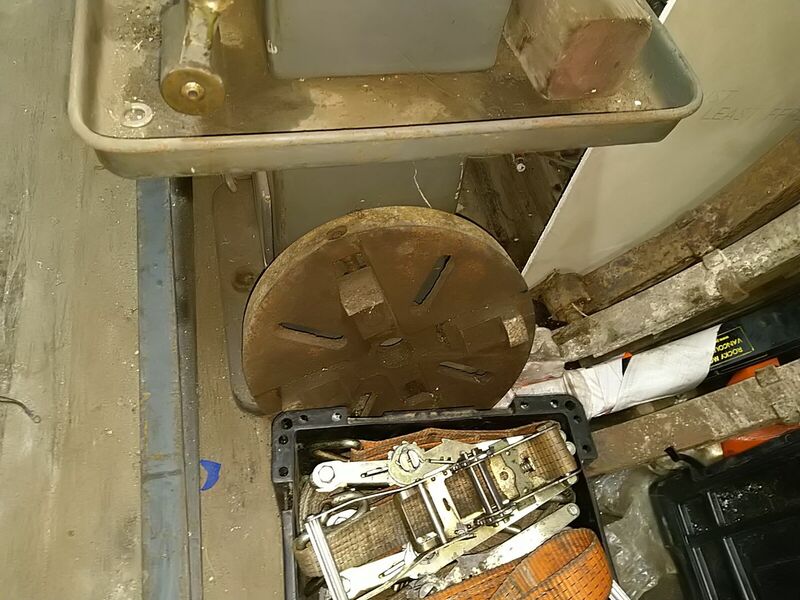 It's a 3kw single phase motor, and I think that is too much for the house electrics, especially at the end of a 90 yard distance from the main consumer unit. I'm going to try a less fussy trip and a good poke in the original wiring this weekend, time permitting. I'll post up some photos of the poor abused and neglected thing. I forget what each of the letters mean, but the slower trip one to cope with the inrush would be worth a try. C rated (light industrial) trips are a godsend for that sort of thing. What gauge cable do you have running down to the workshop? What's irritating is that there's 3 phase over the workshop, but goodness knows what they'd charge me to install. Let alone the monthly service charge! I've bought some C trips and will install when they arrive. 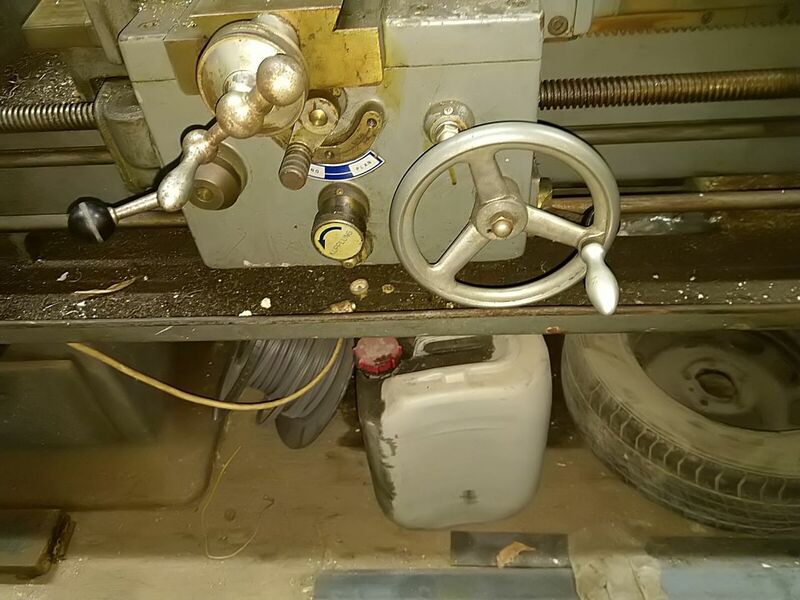 Looks like a decent lathe. I would check the bed is level both ways to make sure you haven't got it twisted if the floor is uneven. Then do a cut on a long bit of bar and measure it all the way along. They usually wear more nearer the chuck as that's there they're used most. My 40 odd year old Colchester is worn 0.15mm along the bed it still turns what i want pretty well. You can usually tighten things up but if the wear is in one bit like mine is you can only go so far obviously. It's in a shipping container, wooden floor, so that risk does exist. But I did try and put the uprights on the cross members of the container. When you mean "do a cut", is that turn a bar down using the main slide, and measure the diameter along the length? Or just score along a stationary bar? I'm not sure I've any bar stock that long! Time for a steel order? It would have to be quite chunky so it wouldn't sag. Or would scaffold pole do? I don't have any steadies for the middle. Are there affordable methods to refurnish the bed? With additive manufacturing techniques there HAS to be some way of building up a bed in situ. Turning a test bar is the standard method for working out if you're all trued up I believe, but yes it does require a big chunk of bar! Not sure how you'd accurately build the ways up in-situ. Unless it's really shagged out I wouldn't worry though for home use. I levelled my CUD when I got it but didn't do a test bar as I likewise don't have large bits of stock kicking around. Bit of scaff bar would work fine. The idea is to turn down the length and see how the diameter varies over the length. Unless it’s properly shagged you’re not going to have many problems with a bit of wear in it. You just might have to be wary of it if you’re doing a really long length. As for building it back up.... you’d need to weld it and then grind the entire length. I've just watched the " this old Tony" video, I get the concepts now, I think. I've some 4 inch pipe/tube that might work, if I can hold the other end with a centre thing in the tail stock somehow. The plan remains focused on getting the electrics working in forward and reverse at full speed. Then I need to get some basic tools and accessories. At present I don't think I can use the tail stock to hold things. 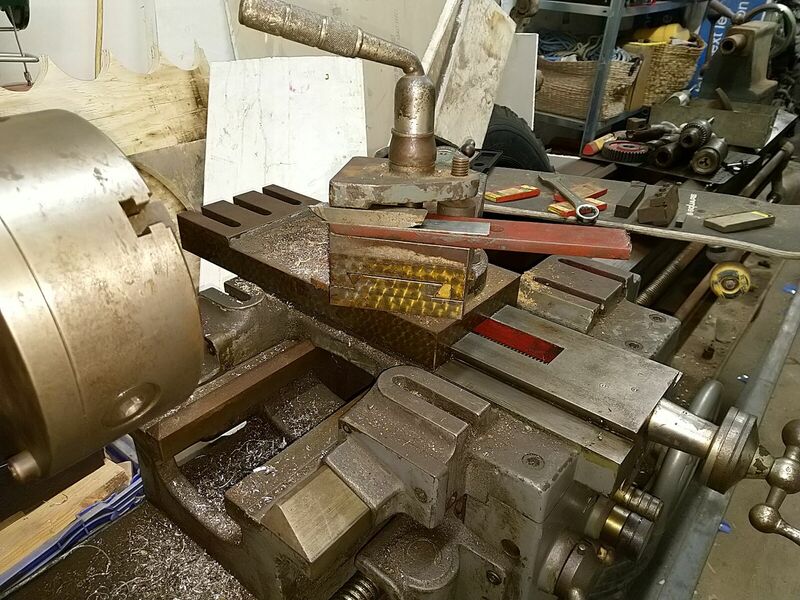 You really want to do it without the tailstock to start with. As the tailstock can be adjusted and end up offset you can induce tapers in the cut over a decent length. What size throughbore have you got? Something close to that would be good. Also worth remembering that cutting something long without end support will have a tendency to push away from the tool as well so you’ll want to do what’s called a spring cut. The same cut again without moving anything, you’ll find it will cut again. If you’ve any slack in the cross slide you’ll want to make sure you end up at your final destination whilst moving in the same direction each time too. If the bed was worn you'd need to get it ground back. A toolmakermight do it if it would fit on their surface grinder but if I were you I'd do the test and make a mental note of how it varies. Most of the wear is usually near the chuck so you'd be ok doing short jobs there. Longer jobs if they need to be more accurate than your wear just do them away from the worn bit if you can. The other bit that wears is the chuck. Clamp something in the chuck then see if you can get a deeper gauge under the front of the jaws. Also, if you change chucks they usually have a mark on them so you put them back in the right place. YouTube is full of videos by people who are way better at it than I am so I would have a look around. The Chuck is what I'm worried about most. I think the jaw contact areas are worn. Can these be refurbished? It's a Rohn branded chuck. Don't be surprised if the chuck doesn't have any alignment marks, plenty of them don't have anything. I'd have thought somewhere with a surface grinder could resurface the jaws. That, or find another set. Worth pointing out that the jaws can be affected by the surface on the face of the chuck and the grooves the jaws run in. If that face gets worn the jaws can tip when tightened. Yes. Chucks appear reasonably priced. I also have to avoid starting another project. Great, the 10mm will be man enough for that! There's a good TOT video on chucks. Only thing you'll suffer with if your chuck is worn is repeatability - if you need to take a part out, then put back in after another operation. With a three jaw, this is sketchy anyhow. As long as it clamps well and isn't running out grossly, don't worry about it and crack on learning. Many parts can be produced in one op; so as long as the chuck holds the work, you can produce perfectly accurate parts. I'll try and find the Keith Fenner video where he shows how to check lathe level without machining a huge length of bar. 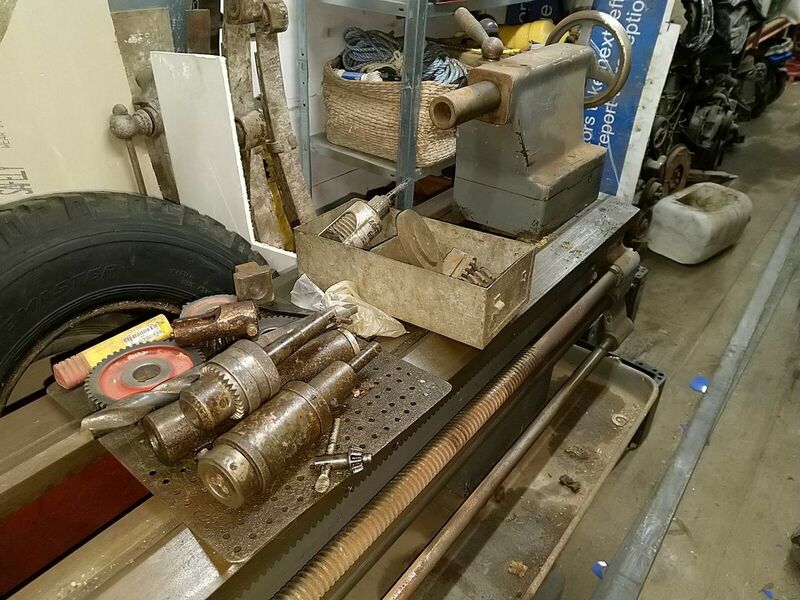 I think you've got the lathe tool clamp 90 degrees out - the foot part should rest over the length of the tool, which will give better clamping and rigidity. That's a good point I'd forgotten to mention. I'm not particularly familiar with that type, but tThe tool clamp doesn't look inherently wrong to me. Have you got the tool height set correctly? If the tool is set too high you can find you have to push harder against the job as you're contacting below the cutting edge. That or if you've got vibrations and it's working loose? I could easily be wrong about the tool holder... If its like my little myford, the foot part sits straight over the tool with the adjustment screw the other side of the post to the tool. I'll grab a pic later. A good trick to check tool height is to place a straight edge between the tool tip and a pice of bar in the chuck. If the straight edge is perfectly vertical, you've got it bang on center. If not, you'll soon see whether it's high or low by the angle. I meant to mention the straight edge trick. Gets it more than good enough for the majority of operations. Got any more pictures of the tool holder? I'm seeing what you mean Lo-Fi with the 90Deg out.... but I think only if the tool holder can rotate 90Deg itself on the cross-slide.